A joint venture with the Corvallis Benton County Library Dial-A-Book program providing monthly flower arrangements for their home-bound patrons. 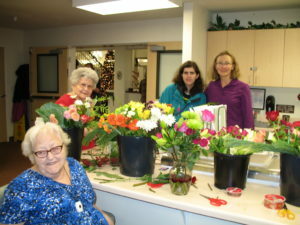 Volunteers join residents in making flower arrangements with flowers donated by local merchants. 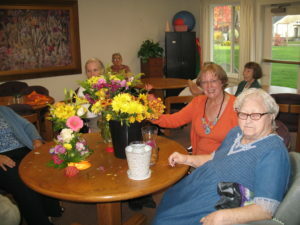 At present Flower arranging classes are taught at Stoneybrook Retirement Community. Flower Therapy classes with Marge Alig and Linda Hadfield with Stoneybrook residents.